The thwack of an arrow sinking into a bullseye target tends to pump one’s blood. But when 50 hit at a time, echoing off gym walls, the hair on the back of a mother’s neck raises, and a shiver runs down her back. It all started with a “what if” in 2014: What if we bring back archery to the reservation’s school system? And that’s all it took for a handful of us to get both 4-H and NASP (National Archery in the School’s Program) certified to instruct youth. At the time, I was coordinating Rez Stop, Inchelium’s after-school program, and partnered with Ben England, the school’s P.E. teacher. I studied my budget, then funded with federal dollars, knowing we could pitch in and help kick off the program. 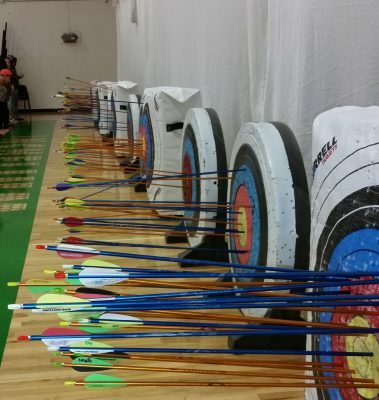 With the much-needed after-school funds, we matched the NASP grant and equipped our school with the necessary gear: netting, bows, arrows, bow stands, repair kit, and targets. In the next few years, the equipment doubled, and we added storage cabinets and 3-D targets. It didn’t take long to build a program into the P.E. curriculum, add on an after-school club, have youth archers attend state competitions, and qualify for nationals in both Louisville, Kentucky (first few years) and Salt Lake City, Utah (current location). 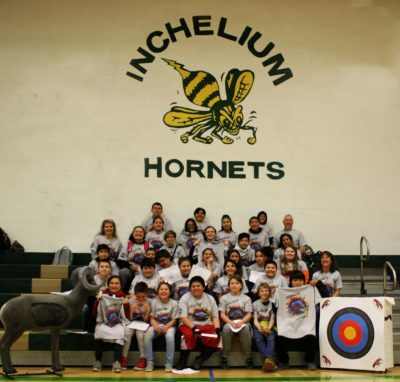 So far, the Hornet archers who have qualified for nationals have been females representing elementary, middle school, and high school. Amaya Simpson has qualified twice. Last year, Tymseila Washburn qualified as a freshman for nationals and flew to Salt Lake City. “I was surprised, happy, and thankful for qualifying.” She did admit going was scary at first, but in the end, she had a lot of fun. Personally, I loved watching her practice because she was incredibly calm and consistent. There are currently four certified instructors who have worked with the program this year: Ben England, head coach, Becky England (yes, Ben’s wife), Carmen Peone, and Jerome Shoemaker. 36 archers went to Deer Park for the state competition in March. When most of the flight’s green shirts stretched across the gym, it was a blessing to have all four coaches for more one-on-one instruction, reflection, and encouragement. “Seeing archers’ improvement and confidence when they get it…” Ben nodded, a look of pride in his eyes. When talking about “it,” he refers to the eleven steps of success NASP instructors use to teach archery basics: stance, nock (an arrow to a bow), draw handset, bow handset, pre-draw, draw, anchor, aim, shot set-up, release, and follow through and reflect. Becky’s response to what is best about coaching youth archery is, “Every kid is challenged by self and doesn’t rely on anyone else.” As a coach of track and volleyball, she understands success equals effort. And that’s exactly what our archers are learning. “When I do the eleven steps, I hit the bullseye,” said Saige Watt, a fifth-grade student. When interviewed, most of the youth stated archery was fun and they especially like it when they get a good score. They also enjoy state competitions, claim archery is a sport they haven’t participated in before, appreciate the competition piece of the sport, and realize archery builds arm strength and bragging rights. “My dad got me a bow and now we hunt as a family,” a couple of elementary archers stated. What could be better than learning a life skill and getting the entire family involved, whether shooting a bullseye or 3-D target or tromping in the woods with family? Well, I can’t think of any better activity. This year, six archers have qualified for the national tournament in Salt Lake City. 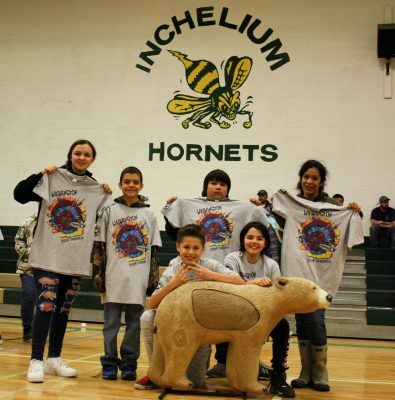 Congratulations to: Lorielle Seymour, grade 5, 3D-248 score, ranked 6th; Cody Tonasket, grade 5, bullseye-235 score, ranked 10th; Gaige Stensgar, grade 5, 3D-236 score, ranked 8th; Kylee Andrews, grade 6, 3D-257 score, ranked 7th; Kolton Banning, grade 7, 3D-263 score, ranked 6th; and Samantha Stensgar, grade 10, 3D-247 score, ranked 10th. All rankings are in the State of Washington, and the top ten participate in the national tournament which will be held April 25-27. After this post was written but before it was scheduled to release, I discovered the Inchelium Middle School came in 3rd in the state! Don’t you love when hard work pays off! However, one of the thrills of being an instructor and learning about archery is actually writing strong female characters with bow and arrows into my stories. 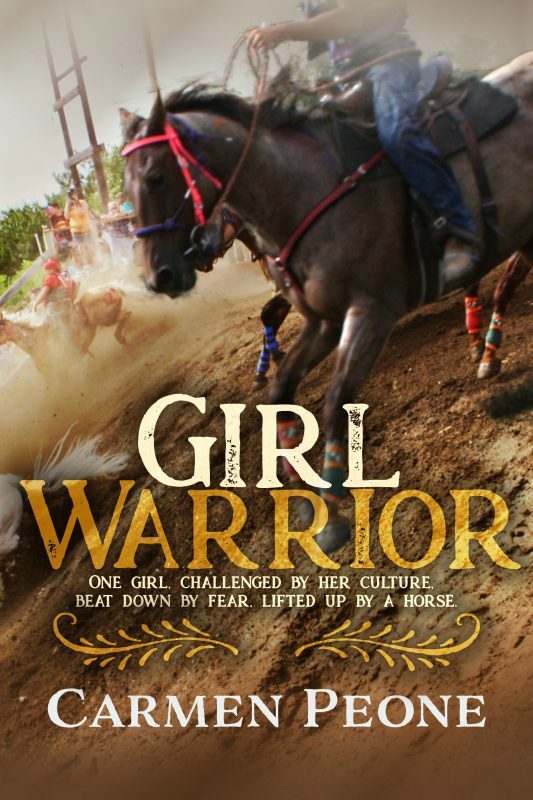 Girl Warrior, Hannah’s Journey, and Heart of Passion have three different young women coming of age and shooting various targets, two from horseback. Spupaleena is no exception in the True to Heart Trilogy’s makeover and re-release. 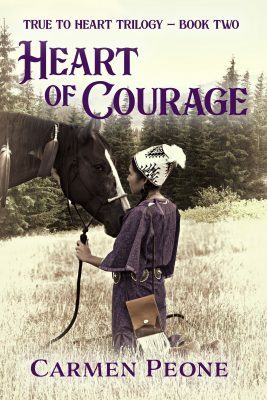 Although only an arrow is mentioned in Heart of Courage, there will be more archery in Heart of Passion (coming fall of 2019). Spupaleena pressed her lips together and stopped feet before the lodge. Spupaleena took in a deep breath, a withering landscape before her. 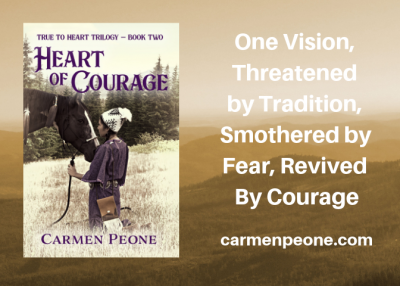 Order your copy of Heart of Courage now! Book two of True to Heart Trilogy. Have fun in Carmen’s Street Team, helping her by reading advanced copies of her books and reviewing them on Amazon, getting to know her better, and more. Cover model, Shayna Palmanteer. Basket hat by artist Brandon Finley. Hornets Sting the Targets first appeared in the Silverado Newspaper, Colville, WA. What a cool activity. It’ll help the kids fine tune their coordination, focus, and patience. Definitely patience. Linda, You nailed it on all accounts! This program continues to grow, and I’m so blessed to be one of the coaches. Now, it’s off to nationals in Salt Lake City, UT. Mary, these kids really are incredible. I enjoy working with them and so love our program. Thank you for taking the time to read and comment. What a worthy project, Carmen. Thanks for all this wonderful information. I especially love the top picture with the targets and arrows.